I listen to podcasts while I sew and I sew a lot so, consequently, I listen to a lot of podcasts. one of my favorites is stuff you missed in history class. recently, they had a piece that referenced an article about the impact that donated clothing can have on indigenous textile industries in some African countries. the gist is this: when we donate clothes to big charities they take the tons and tons of the stuff that doesn’t sell and re-sell it to African countries for cheap. in turn, the clothes are sold in African markets and because Western influence is strong these clothes are popular, especially among young people. the popularity of these clothes has diminished interest in owning and wearing the textiles that are indigenous to the particular country and therefore the whole textile industry is flagging for many African countries. this made me really sad. I always felt good when I went through my closet and brought in a donation. hoping, all the while, I was helping someone out. but, the last thing I want to be a part of is killing of any indigenous textile industries…especially such beautiful fabric with such attachment to culture and heritage! long story short, I have been thinking of ways to stem the tide of crap coming in and crap going out! obviously, buying less stuff is a good way to go. I’m definitely working on that. I still have a ways to go. but, when I do buy I’m trying to be more thoughtful about it and have been hitting up a really nice consignment store nearby for almost all of the boys clothes and much of my own. that said, I still have lots of things in my closet that I don’t wear. so, I’m devising a personal challenge to up-cycle them into something I WILL wear. 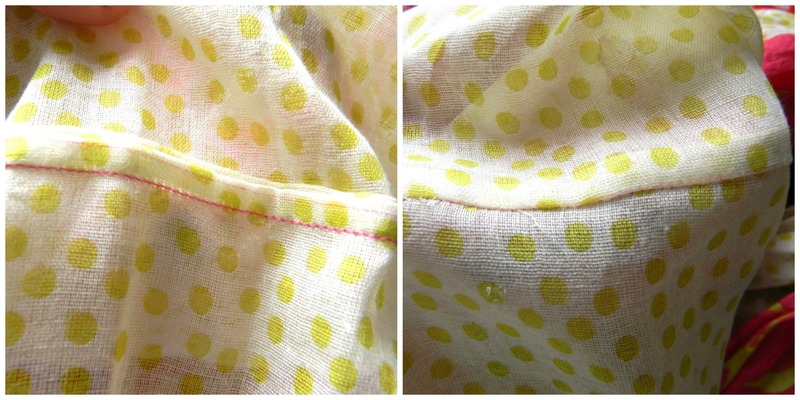 and I want to highlight some of my progress here on the blog with an up-cycle project! I’d love it if you joined me. 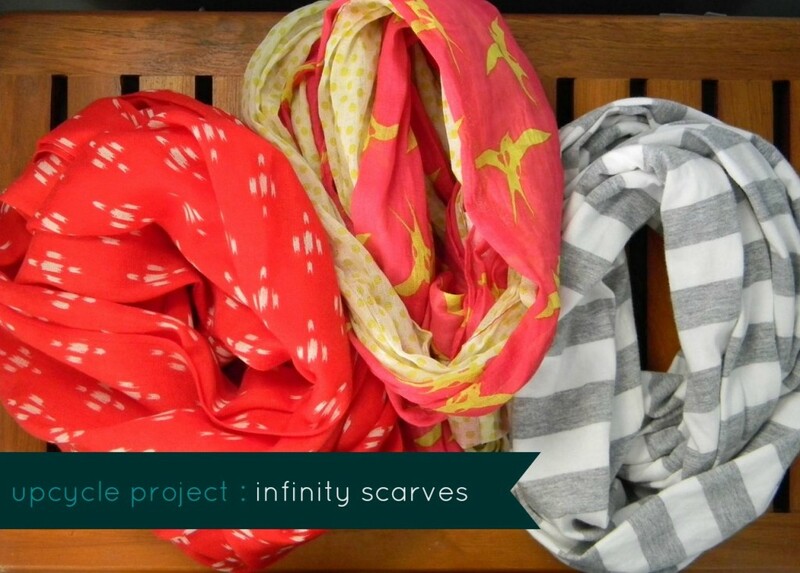 I started simple…turning regular scarves into infinity scarves. 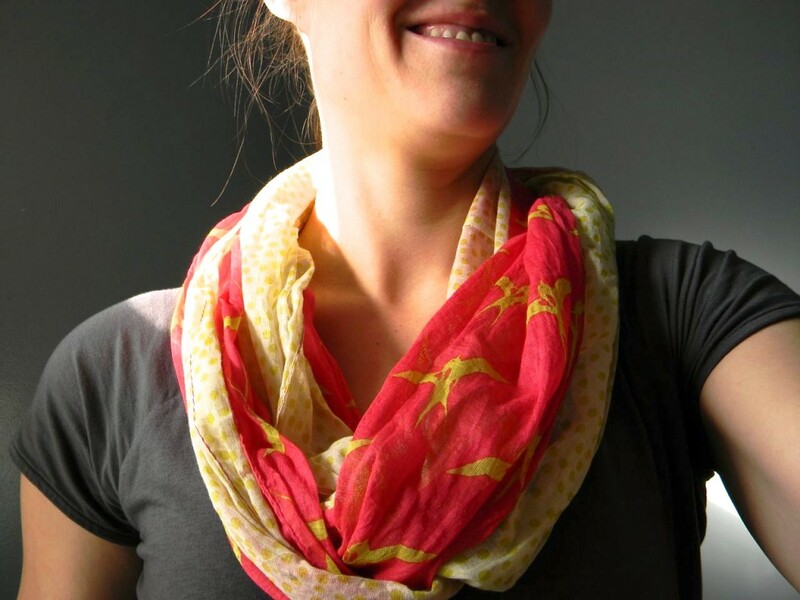 I find I am really drawn to scarves, in large part because I love their ability to highlight a great fabric print. 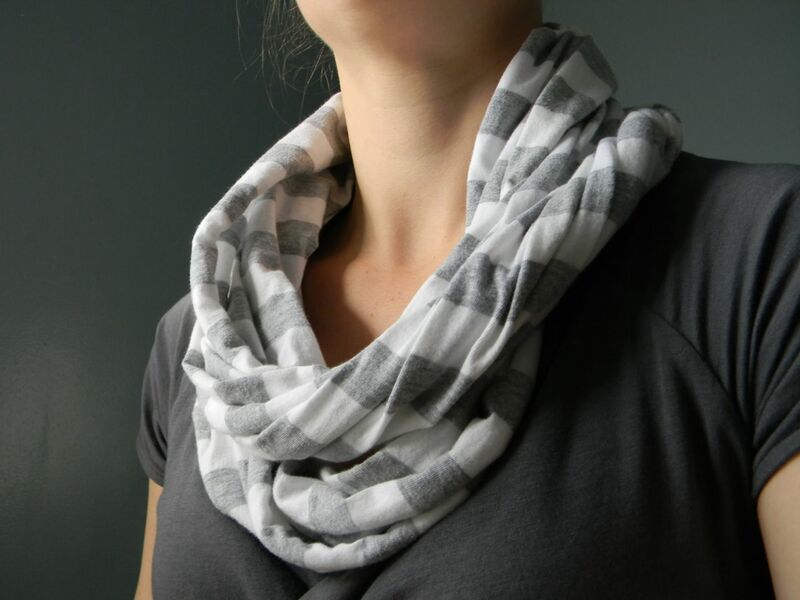 but, I only wear my infinity scarves because I’m not a fan of the way that a tied scarf kind of hangs out there and then comes untied or flies in my face. it’s awkward. so I devised the simplest project ever. I simply made a french seam (great tutorial can be found here) connecting both ends of the scarves. job done! 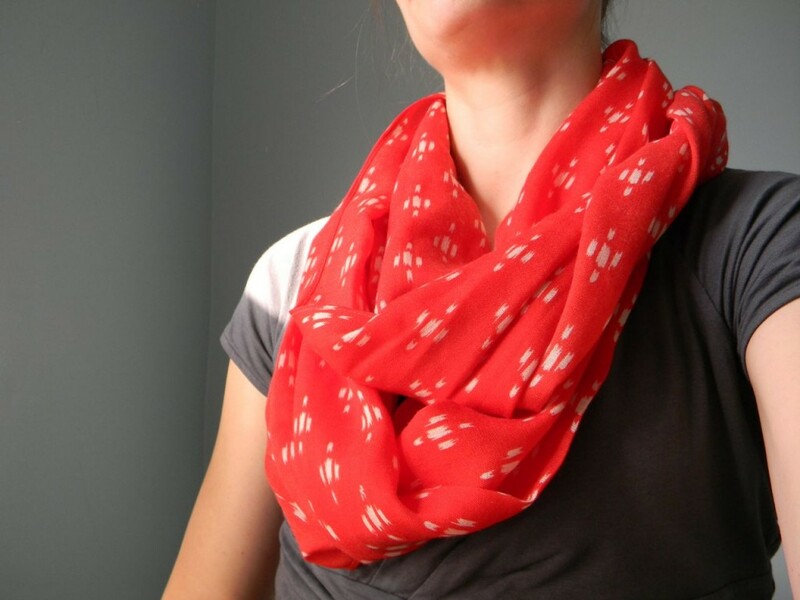 it took minutes…around 10 actually to make 3 scarves I will actually wear! look at that, it’s already making me happy! leave a comment if you join in the up-cycle project…I’d love to see it! Yay! You will not regret it. So awesome and so easy. Oh, Stuff You Missed in History Class is one of my favs too! I found it a few weeks ago and have been listening to all of them from the beginning while I sew, so I haven’t gotten to the one you refer to. But I’ll remember you when I do. Great project! I’m so glad you found me! You are listening from the beginning? You are awesome. Pass on any good ones you come across. I jump around a lot and have to say I have a hard time when they change hosts because I get really attached to the hosts…they are practically my coworkers!! Got any other podcasts to recommend? wow i had know idea that was part of the effect of our over comsuming here in the western world 🙁 one more reason to love up-cycling. all my friends check if i need anything for my sewing stash before they donate these days. our play group/drop in has a clothing swap were we hand down out grown cloths, maybe try starting one at your local play group. I know! It’s a little shocking, isn’t it! That’s awesome that you are a resource for your friends! Great idea about the clothing swap. I have been (trying) to plan an adult night clothing swap for those nice clothes that are beautiful but just don’t work for one reason or another. Then instead of donating them…we can switch wardrobes and get some pretty new things! ya i always wanted to try that shopping in other women’s closet thingy. try meet up, there was one a group in my area who did it but it just never jived with my schedule, then i got pregnant again and it fell off my radar.